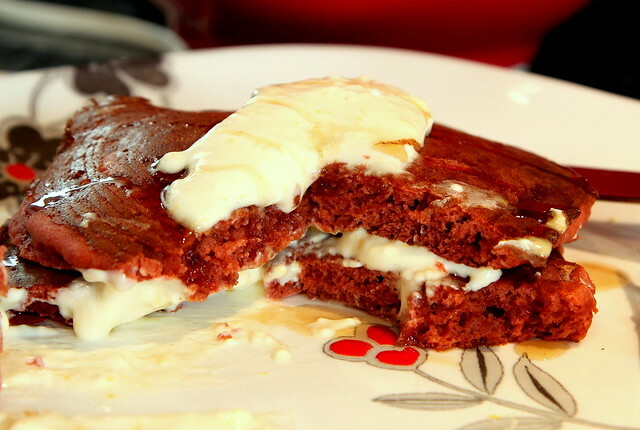 Red velvet buttermilk pancakes were awesome as expected. Ate them with whipped cream cheese and maple syrup. We used this recipe. Next time, we'll add a bit more cocoa powder and sugar to the mix.